While I was giving my blog a makeover, I was also doing a spring cleaning of our kitchen. We’ve been in our new home for almost a year and a half now – not really a new home anymore, is it? Certainly not judging by how overflowing all the cabinets and closets appear; one glance and you’d think we’d been hoarding here for years. No matter how assiduously one tries to keep order in the pantry, there are always a few rogue items that manage to find their way astray – forgotten spices, half-used bags of specialty flours, bottles of food coloring in all the least-wanted hues. I try to go through the back of my cupboards every couple of months just to root out orphaned items, and perhaps find some inspiration – or at least impetus to not let ingredients go to waste. Fortunately, having figured out the Italian meringue method for macarons, I found it easily adaptable to hazelnuts. On skinning hazelnuts: yes, those skins can be annoyingly stubborn. Toasting the hazelnuts in a 350 degree oven for about 10-15 minutes, and then rubbing then briskly in a towel, should shed those skins fairly quickly. There is also an alternative method: place the hazelnuts in a saucepan and fill with 1 1/2 cups water and 2 tablespoons baking soda for every 1/2 cup of nuts. Bring the mixture to a boil and let sit for 3 minutes; the water will turn black from the tannins in the hazelnut skins. Drain the saucepan and run the nuts under cold water to stop them cooking. The skins should slip right off. This method seems much more complicated than the first, but it does ensure completely skin-free nuts. As you can see from my photos, I was clearly not a total success at eliminating all the skins. Other than substituting hazelnuts for the almonds, the entire macaron exercise proceeded without deviation (and without much stress, amazingly!) With the kitchen smelling nicely of toasted hazelnuts and a tray of prettily rounded shells, I was about to pull out the Nutella when I had the thought…what about making Nutella with the remaining hazelnuts? Nutella is the glorious combination of chocolate and hazelnuts – couldn’t be too hard to duplicate, right? I was helped along by David Leibovitz’s stellar post, as well as a recipe in the Flour cookbook for a homemade Nutella tart. The final concoction is a sort-of ganache of cream, chocolate, and ground hazelnuts. 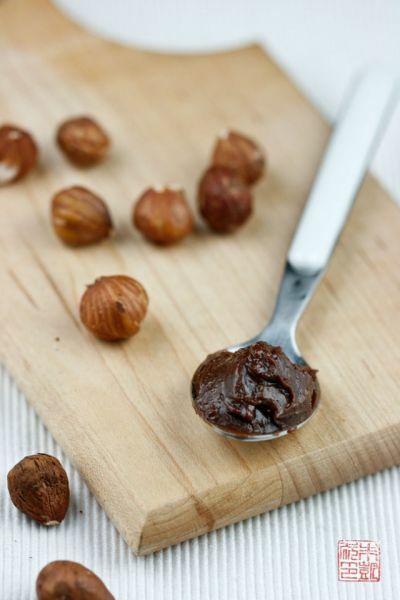 The ground hazelnuts – hazelnut butter, really, is essential to giving the mixture its robust, nutty flavor. Although it’s nearly impossible to grind them fine enough so that there aren’t little fine bits of nut left, I think it lends the spread an interesting, more rustic texture. The Flour cookbook calls for infusing hot cream with the hazelnuts, which does help add another layer of flavor, but it’s really the ground hazelnuts that do the job. The mix of dark and milk chocolates with the hazelnuts alchemizes into the oh-so-familiar sweet, creamy, Nutella-y flavor. I was really happy with the spreadable consistency and how fresh it tasted. Sandwiched between hazelnut shells, you probably can’t find a more fragrant macaron. “But wait!” you say? “What about all those jars of actual Nutella you were trying to use up?” Yes…those jars…which were supposed to be the inspiration for this recipe so I could use them up, are still sitting in the cupboard untouched. Does anyone want a jar of Nutella? Giveaway update: Thanks to everyone who has written in and commented and made me feel so welcome in my new space! I will announce the winner of the Williams-Sonoma giftcard on Thursday. Meanwhile, I have another giveaway! I will be attending Pebble Beach Food & Wine this Friday and Saturday. I went last year to this most luxe of food events and had a spectacular time, so I’m thrilled to be invited again this year! Tickets are still available for the Grand Tasting and many of the chef events; check out the website for the full rundown. Lexus, one of the main sponsors of PBFW, is introducing its new Culinary Masters Team at the event. The team members include acclaimed Chefs Daniel Boulud, Michael Chiarello, Dean Fearing, Christopher Kostow, Masaharu Morimoto and Michael Symon (It’s literally dizzying the superstars you run into at PBFW). 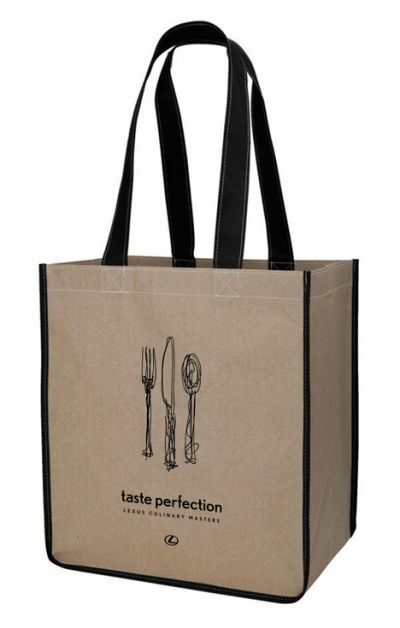 To celebrate the new team, Lexus and I are giving away four sets of team aprons and totes (see images below). 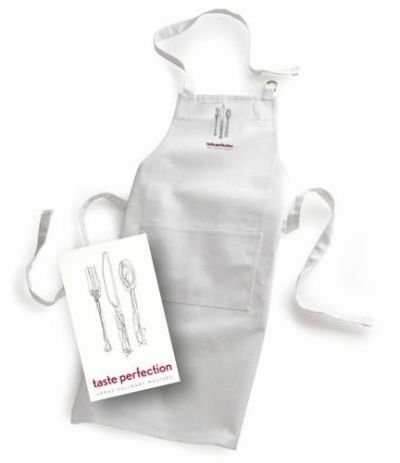 The aprons will be signed by all six chefs – nice collector’s item! If you’d like to have a chance at winning one of four sets of apron + tote, just leave a comment on this post naming your favorite chef (you can pick one of the six Culinary Masters, or anyone else). I’ll pick four winners at random and announce the winners next Monday May 30. Good luck! Process hazelnuts with confectioners’ sugar in a food processor. Sieve out any large bits of hazelnut. In a large bowl, combine the hazelnut mixture with the remaining 75g of egg whites until partially combined. Scoop the meringue on top of the hazelnut mixture. Using a spatula or dough scraper, carefully fold the meringue in, trying not to deflate it. The final batter should be thick and flow slowly like magma. Do not overmix. 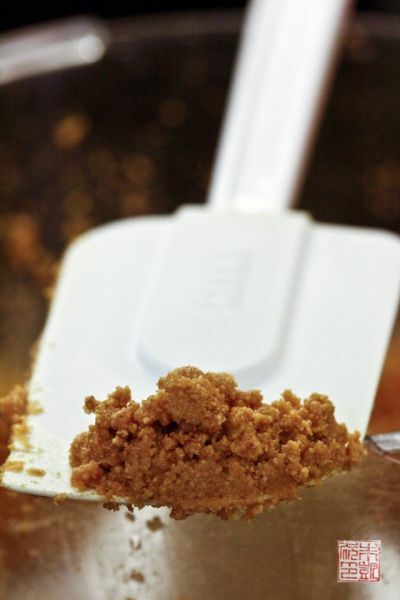 Scoop the batter into a piping bag fitted with a ½” diameter plain tip. Pipe 1 ½” rounds of batter onto the prepared baking sheets. Let the sheets sit for about 20 minutes to let the shells harden. Bake one set of macarons for 15 minutes, rotating once. Let tray cool for a few minutes before removing from the silicone mat. Let finish cooling on wire racks. Place hazelnuts in food processor and pulse until nuts are ground into a paste. Place both chocolates in a metal bowl and place on another saucepan of simmering water. Stir chocolate occasionally until fully melted. Place cream in a clean saucepan and bring just to a boil on the stove over medium high heat. Stir cream into chocolate until fully combined. Add ground hazelnuts and salt and stir until combined. Pour mixture into a container and chill in refrigerator for 1-2 hours until it has firmed up slightly and can be spread. « Welcome to the New Dessert First! I love David Lebovitz. He is not a chef per se anymore, but he was. I like Joel Robuchon. I’ve met him in person and dined at his Michelin Starred restaurants in Hong Kong and Macau. Gale Gand….I believe she is a pastry chef only, but she makes all of it look effortless! Right now, I’m loving Aarti Sequeira – her recipes have turned out SO YUMMY for me, and her show is adorable! Speaking of which, I have seen homemade nutella before, but never one as smooth as yours. It looks perfect, as do your macarons. Thanks for the tips about skinning the hazelnuts! My favorite chef is Julia Child. First of all, those macarons look delicious! It never occurred to me that you could make macarons with other kinds of nuts. Second, I would have to say Masaharu Morimoto but they’re all so talented. I’m still a huge fan of Daniel Boulud, Michael Chiarello, and Michael Symon. Ina Garten, without a doubt. She smiles, makes, mistakes now and then, and doesn’t take herself too seriously. And she makes no excuses for her ingredients: heavy cream, butter, white sugar. My favorite chef is not one of the 6, but he is amazing. Ferran Adria! Bernard Clayton taught me to make bread! Thomas Keller is my favorite chef. My husband loves Bouchon and I die regularly over the ad hoc cookbook. You certainly have mastered the macaron — yours are beautiful! I continue to have a love/hate relationship with them. Love to eat them, but I find them so frustrating to make! I guess I need to clear the decks & just work on them for a few weeks. For hazelnuts, I read a trick that really helps with the skins — after roasting then, let them cool completely before rubbing off the skins. The nuts kind of contract as they cool, and the skins come away MUCH easier! It makes a big difference. On tv, I really like Tyler Florence. In “real life”, I love Craig Stoll — Delfina is one of my favorite restaurants. I really like Michael Chiarello! My favorite chef is Alice Waters. She is the Julia Childs of our day, her food is pure, whole, healthy and she’s been an inspiration to chefs, everywhere. The macarons look perfect! I’m always interested to find out about flavor variations for macarons other than just changing the filling. Thanks for sharing! I love Gordon Ramsay. Love him. I also love Masaharu Morimoto. He is so innovative and his dish always looks like a painting, a masterpiece and love the techniques he follows to create unique meals. Yes, I would like a jar of nutella! 🙂 Who wouldn’t! I don’t think you need a recipe, just grab a spoon. The macarons do look fabulous though. My favorite chef at the moment is Thomas Keller. But as was said, I’m still a huge fan of Daniel Boulud, Michael Chiarello, and Michael Symon! Such perfect feet on your macarons. I shall be making my own this week. Thanks for the inspiration. It’s been a while since I last made macarons, the Italian merginue method. And yes, I agree that the french meringue method is so tempermental to weather, humidity and what not. What an inspiring recipe! I can’t wait to find the time to give it a whirl. My favorite Chef, would have to be Nigella Lawson, her accent is sweet and she makes her love for food clear in all that she does! Ina Garten is my hero- she’s a baker but a chef as well! I wish I could have been Julia Child’s best friend, but since that didn’t happen, my favorite living chef is Marcella Hazan. Oh, how I wish I could make Italian food like she does. I hope this inspires you: I recently made Nutella bread puddings (http://amelieschoice.blogspot.com/2011/04/nutella-bread-puddings.html). Also, there’s a brownie recipe that calls for a whole jar of nutella (http://www.ricardocuisine.com/recipes/3113-nutella-brownies-) – I amde them once, they were so good! Ina Garten! I love her rustic cooking style. I would have to agree with those who rally around Ina Garten…so many of her recipes have been reliable. She is in a special class all by herself! I love watching Laura Calder because she is absolutely so perky. I think her recipes are fab as well, simple, easy and so french! MORIMOTO! AH! he is so amazing. I like Joanne Chang the author of the Flour cookbook (based in Boston). This has become my favorite cookbook! Those macarons are absoutely gorgeous! They’re one of my favorite treats! Thought, I have only had them once, at Jean-Georges in New York. I really need to try making them one of these days. To be frank, I think I’m a bit timid 😉 Maybe nutella is just the inspiration I need. Hmmm, my favorite chef? I think I would have to say either Eric Ripert or Anthony Bourdain. I love watching Morimoto and Symon battle their challengers on Iron Chef America, but my favorite chef has got to be Giada de Laurentiis. Love Ina as well. 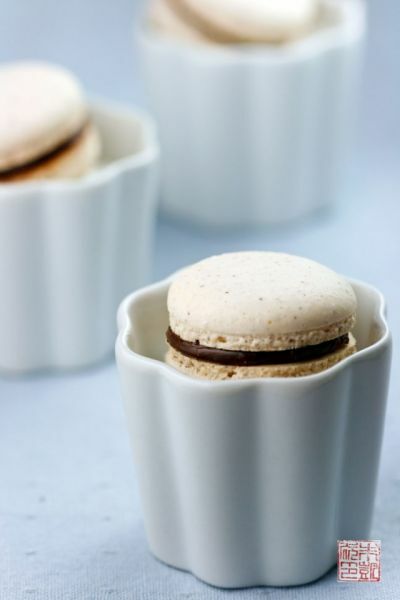 Your hazelnut macaroons looks delicious! I love hazelnut gelato… could you post some recipes? Thanks. Michael Chiarello! Great chef and very handsome!! I really like Sam Zien of Sam the Cooking Guy! Eric Ripert. The food at Le Bernadin is amazing. I hear Julia Child in my head all the time. Thanks! Daniel Boulud is a genius! If you are short of ideas on what to make with your Nutella, type ‘World Nutella Day’. You’ll be amazed at what lovely concoctions bloggers have come up with! Thanks for the macarons recipe, I just discovered today while pantry cleaning that I have some hazelnut flour… And I have been living here just for a year and a half as well 😀 I also have three boxes of icing sugar, which I barely use normally. I can’t explain that either! I like Chef G. Garvin! Morimoto! I remember watching him on the original Iron Chef back in the days. He is amazing! Macarons look yummy. Chef Anthony Bourdain. 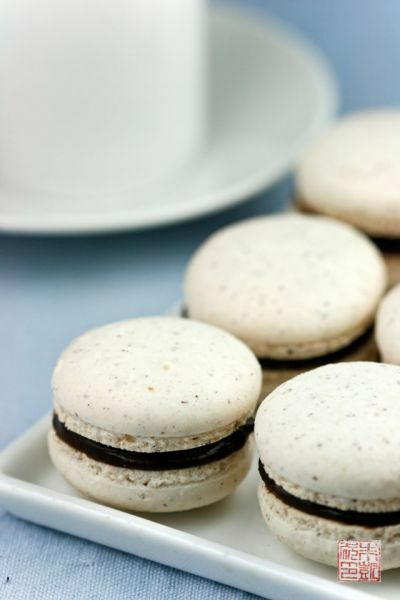 I loooove macarons and would so love to try out the Italian meringue method! one question, though. Is it a must to have the thermometer? There are so many chefs that I love! While I love to watch Morimoto and Richard Blais cook, I really love what Alton Brown and Mark Bittman have taught me about food. I know they aren’t technically chefs, but they have taught me so much! 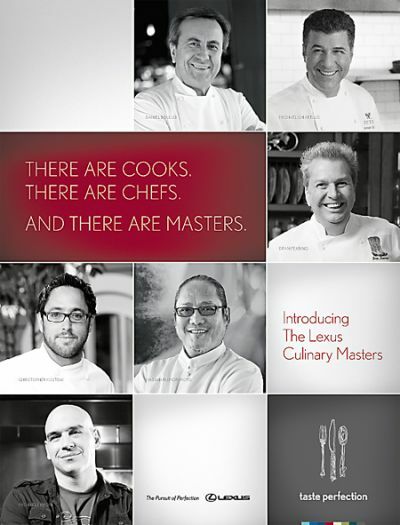 Too many chefs to choose just one! i love rick bayless. if i could have a man like him in my kitchen, i’d be a happy girl FOREVER. This question is like asking me to choose my favourite food! It’s just too hard. Ina Garten is definitely up there though. oooh… Morimoto! 🙂 and Ming Tsai! My favorite chef would have to be both my parents. No one can cook like them. my favorite chef.. all of them are super fantastic but if i had to choose, i’m a huge fan of morimoto. and my mom, haha. Oh gosh, when it comes to food, there is no such thing as ONE favorite chef for me. There’s just way too many. My favorite chef isn’t the most well-known, but his name is Ken Barker, chef-owner of Magnolia Grill in Durham, NC. His food introduced me to a whole new level of culinary pleasure, and I will never forget that quaint little place! Home made Nutella! I will never leave my kitchen again (except to go buy hazelnuts and chocolate of course)! 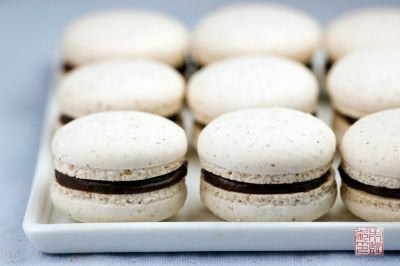 I don’t know that I could sacrifice the almonds from the traditional macaron though… maybe I’ll just combine them… use almonds in the recipe and then use your hazelnut/chocolate spread! You MUST tell us what else you use your spread on! It looks spectacular! Hometown favorite (and 1st year @PBFW) chef Ed Kenney from Hawaii’s TOWN and DOWNTOWN Restaurants of course! Cooks with organic whenever possible, aloha always! I really like Patricia Wells. Her Trattoria cookbook is one of my favs! Alice Waters is a goddess. But she doesn’t really classify herself as a chef, so instead I will go with Giada de Laurentis. Love! Julia Child. I know she’s no longer with us but I learned to cook by reading and making her recipes from Mastering the Art of French Cooking. I’m forever greatful. Your hazelnut macarons look wonderful. I have a question. When you say “stack two baking trays on top of each other” do you then put the two trays in together in the oven? My favorite chef is Tyler Florence. I love his cookbooks! Bernard Clayton for my obsession with bread baking, Jamie Oliver with his cooking styles, earthy, wholesome, quick and easy dishes! As others have commented…its hard to pick just one Chef; however, I would have to say that the “Barefoot Contessa” Ina Garner has had a very positive influence on my cooking/baking! I’m even nick-named the Barefoot Contessa by friends & family!! 1) Do you age your egg whites? 2) when you begin whisking the egg whites as the sugar cooks, at what speed are they whisking? 3) After adding the sugar and you kick the mixer up to high, for how long does it take for the meringue to become thick, glossy and cooled? 4) I looked at your Christmas Macarons and noticed that you brought the sugar/water to a different temperature than what you require in this recipe. Any particular reason they vary? Have you decided on one or the other? Does it matter? THANK YOU!! Beautiful site and beautiful post. Thanks for your kind words and thoughtful questions! 1. I don’t age them on purpose, but oftentimes when I am baking I freeze egg whites I am not using and use them later for things like macarons. I don’t know if that really counts. I’ve made macarons with fresh egg whites and found them to work fine. 2. I start whisking the egg whites at medium-low until them are foamy, and then on high until them are firm. If it looks like they are whipping too fast, I just turn the speed down. 3. I usually whisk the sugar syrup in on high for about 5 minutes to let it get thick and glossy, and then let it whisk on medium for another 4-5 minutes to let it cool. 4. The Christmas macaron recipe is an older recipe; I believe it works still but I refined the recipe over the years so the one in this post is fine to follow. I don’t think the difference in temperature should make a huge difference in the results.